Alan H. Auerbach has served as our Chairman of the Board and as our Chief Executive Officer and President since our inception. 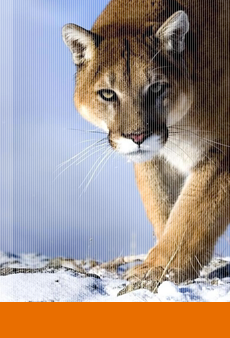 Prior to founding Puma, Mr. Auerbach served as Founder, Chief Executive Officer, President and a Member of the Board of Directors of Cougar Biotechnology, Inc., from the company's inception in 2003 until its acquisition by Johnson & Johnson in July 2009. From July 2009 until January 2010, Mr. Auerbach served as Co-Chairman of the Integration Steering Committee at Cougar (as part of Johnson & Johnson) that provided leadership and oversight for the development and global commercialization of Cougar's lead product candidate, abiraterone acetate. Abiraterone was approved for the treatment of metastatic prostate cancer in the U.S. in April 2011 and in the European Union in September 2011. Prior to founding Cougar, from June 1998 to April 2003 Mr. Auerbach was Vice President, Senior Research Analyst at Wells Fargo Securities, where he was responsible for research coverage of small- and middle- capitalization biotechnology companies, with a focus on companies in the field of oncology. He had primary responsibility for technical, scientific and clinical due diligence, as well as selection of biotechnology companies followed by the company. During 2002, Mr. Auerbach ranked second in the NASDAQ/Starmine survey of analyst performance for stock picking in biotechnology. From August 1997 to May 1998, Mr. Auerbach was a Vice President, Research Analyst at the Seidler Companies, Inc., where he was responsible for research coverage of small-capitalization biotechnology companies. Prior to his work as a biotechnology analyst, Mr. Auerbach worked for Diagnostic Products Corporation, where he designed and implemented clinical trials in the field of oncology. Mr. Auerbach received a B.S. in Biomedical Engineering from Boston University and an M.S. in Biomedical Engineering from the University of Southern California.